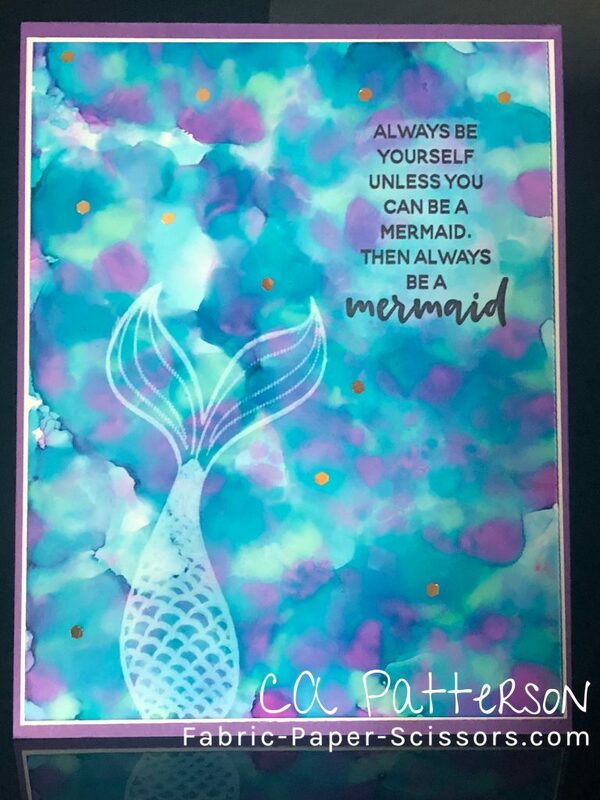 Unless you can be a Mermaid. 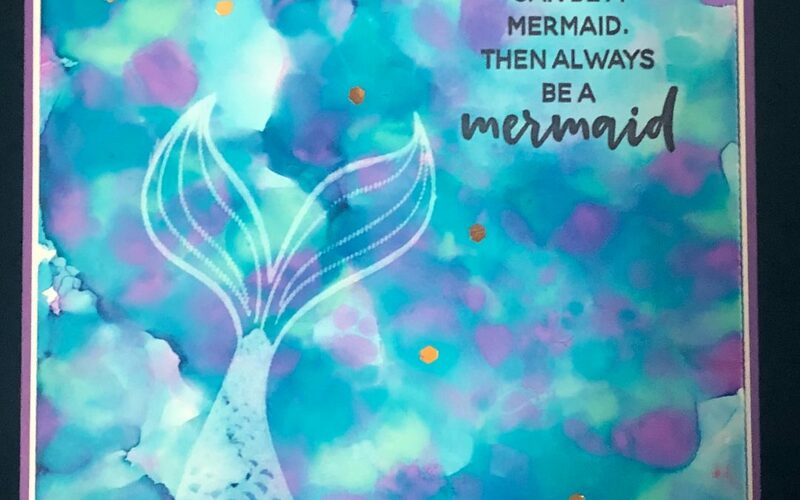 Then always be a Mermaid. I had to share something off the beaten track with you today. I love mermaids and seahorses!!! 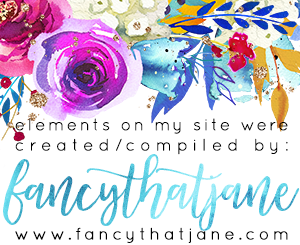 This set by Essentials by Ellen caught my eye and I just had to purchase it–it’s called Inner Mermaid by Julie. I used Tim Holtz Alcohol Inks on Yupo paper to make the background. Sooooooo fun! Then the new product Alcohol Lift-Ink with the mermaid tail. WOWZA! The color was pulled from the stamped area and the mermaid tail appeared. The sentiment was stamped in Versifine Clair Nocturne. Inside, I used Shimmery White Cardstock and various circle punches from Stampin’ Up! 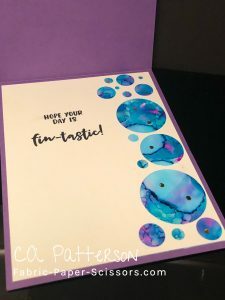 to make the BIG bubbles, backed this with a piece of Yupo paper and Alcohol Inks to match the front of the card. The little gold sprinkles (retired SU) are attached with SU’s Fine Tip Glue Pen. The card base is the new Stampin’ Up! color Gorgeous Grape with a tiny mat of Whisper White. I love Purple, Mermaids and Seahorses! I was not paid to use this stamp set, inks and Alcohol Lift…I just need to have this set! Do you love it or what?! Want these products? See below. 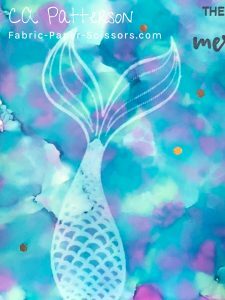 I was not sponsored to use these products, I just adore Mermaids!! !